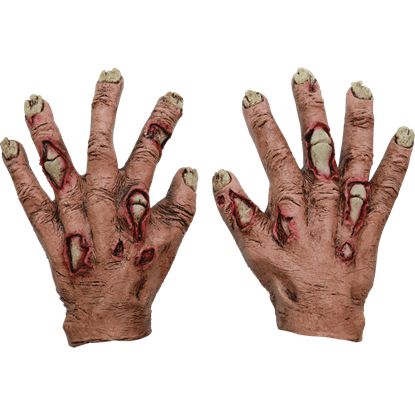 Survivors fear the grip of the undead, because after being grabbed comes being bitten, and that ends in zombification. 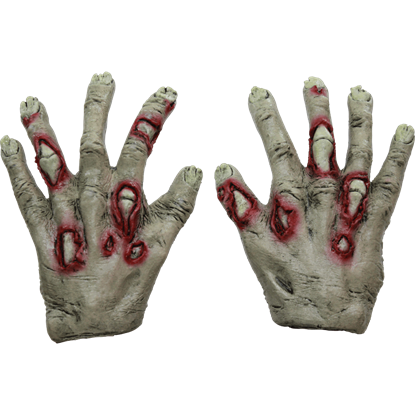 These Undead Zombie Gloves are bound to inspire fear when worn by the walking dead and seen by a survivor. 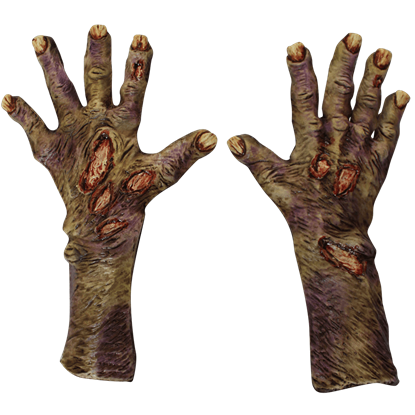 Clawing its way up through the grave dirt, the zombie emerges with a powerful hunger for human flesh. 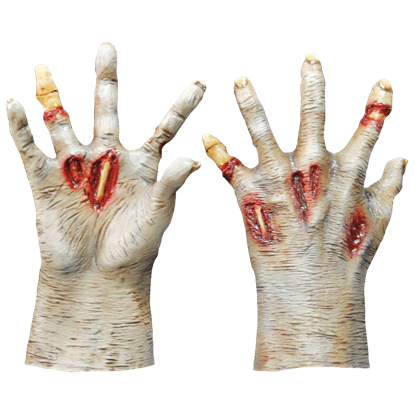 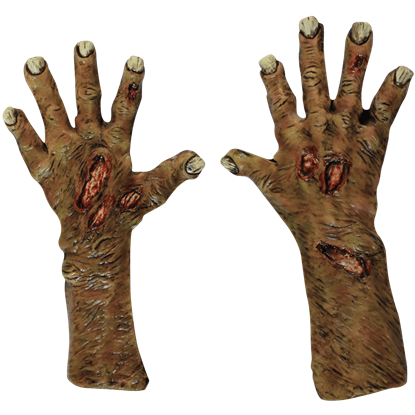 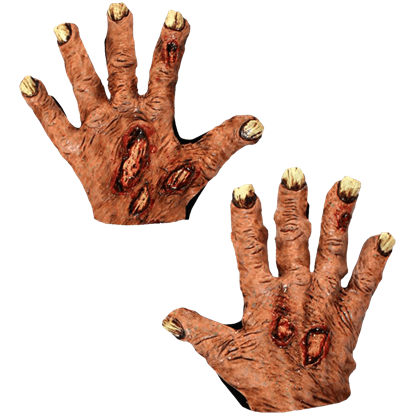 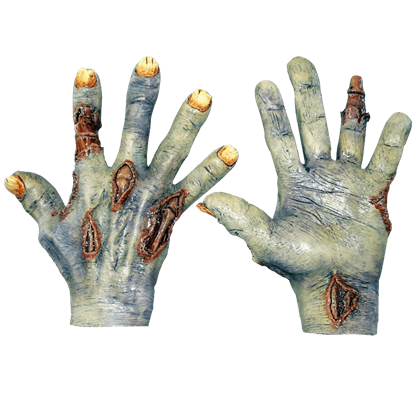 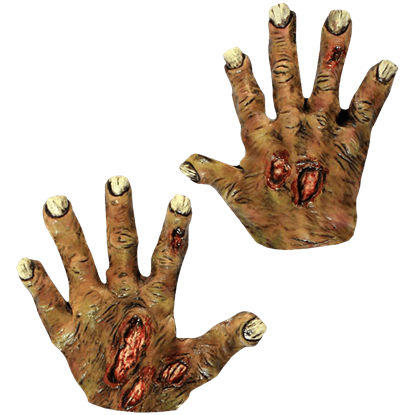 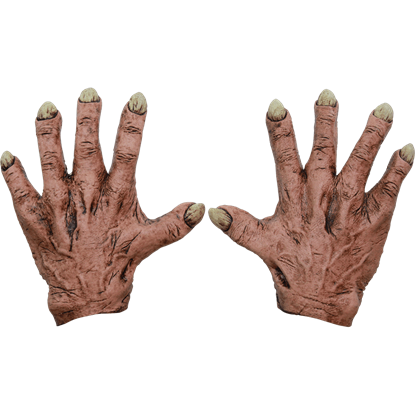 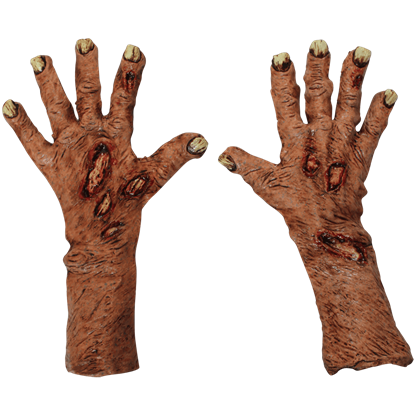 The Zombie Flesh Costume Hands display details of decomposition that make them the perfect finishing touch for any zombie costume. 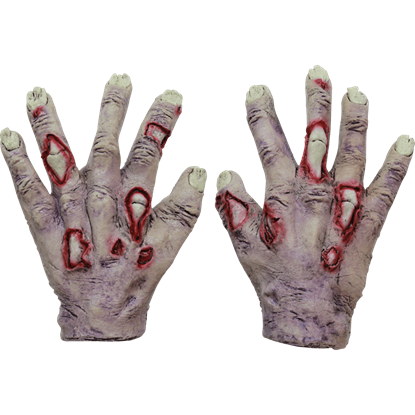 Survivors fear the grip of the undead, because after being grabbed comes being bitten, and that ends in zombification. 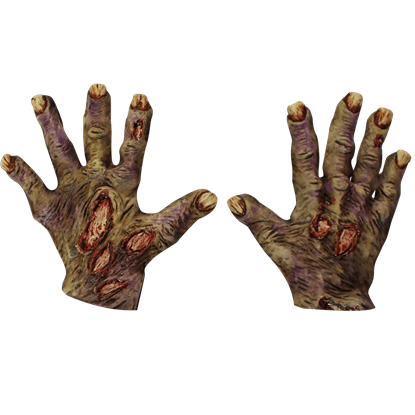 These Zombie Flesh Gloves are bound to inspire fear when worn by the walking dead and seen by a survivor.